YB Cosmetics Lunar Dust reminds me of MAC’s Iridescent Powder in Golden Bronze, except it is a lot silkier. I fell in-love with this. You have a chance to win a Lunar Dust & Lipgloss!!! Description (source): A healthy, radiant glow is just three steps away! From start to finish, this practical kit contains all the tools necessary for complexion perfection. Includes our best-selling Natural Mineral Foundation, Mineral Rice Setting Powder, Crushed Mineral Blush, a Kabuki Blending Brush and a free “try me” size of Hi-Definition Hydrating Mineral Perfecting Powder. Each kit comes with an easy-to-follow application guide and customized face chart. Available in three shade levels; Light, Medium & Dark. 1.) Will end on July 23, 2010; 11:55 pm EST . Winner will be chosen at random. They will have 24 hours to respond to me with their mailing information. 1. Comment below with ‘Enter Me’ along with which product you’d like to win & why, and your email address. 1. Blog about this giveaway with links to this giveaway & post on your blog or personal website. Please leave a link to your post. 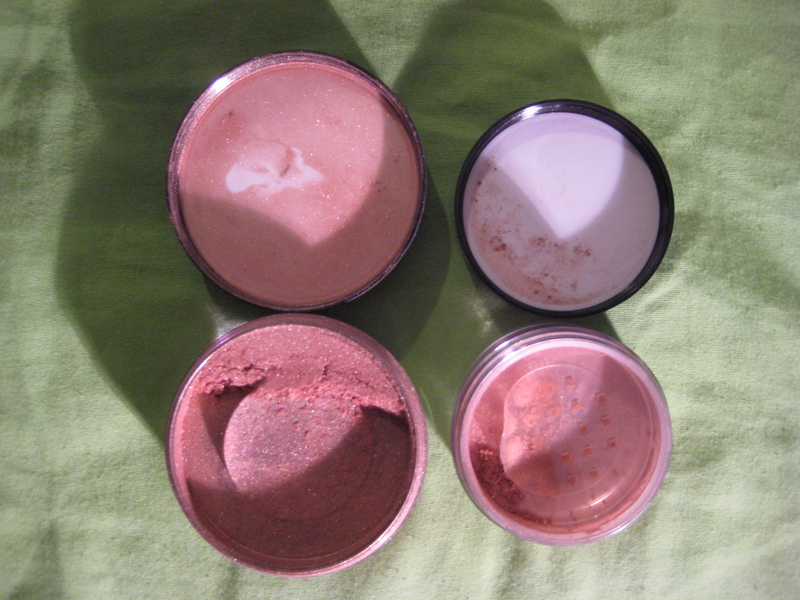 Besides using MAC’s Mineralize Skinfinish Natural, I have very little experience with mineral foundations & products. I was lucky enough to be given the opportunity to try a selection of Youngblood Mineral Cosmetics (thanks Melissa! ), and to be honest with you, they have some great stuff! I started with my Makeup For Ever All Mat primer. 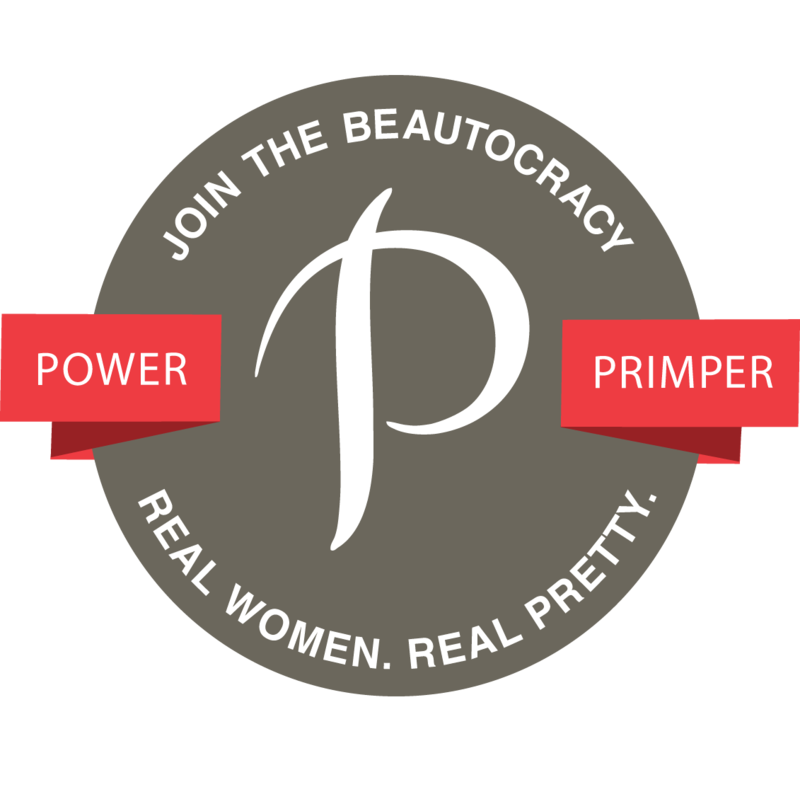 YB Cosmetics does have a mineral primer; however, I do not have it, so I had to make do with what I had available. I ended up mixing the Hazelnut & Coffee mineral foundations together in order to obtain the perfect match for my skintone. I used the Kabuki Blending Brush to buff the foundation into my skin; it blended so well, it practically disappeared into my skin! 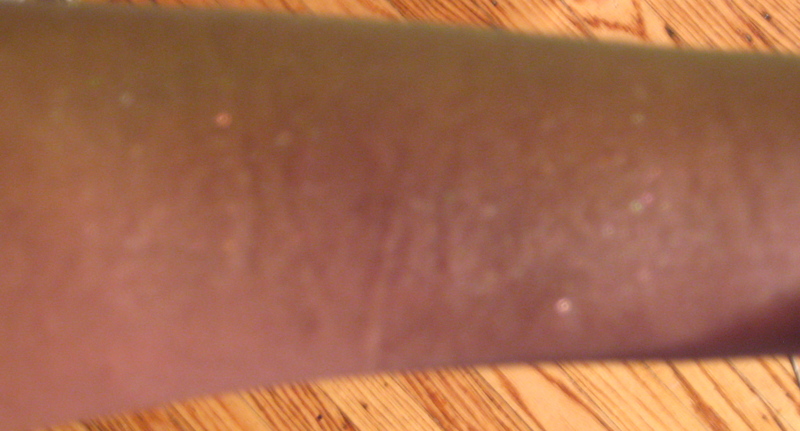 This is what a foundation should do; you shouldn’t see any lines. This foundation provided me with great coverage as well without using a concealer. I like that you can also build the up the coverage to your needs, and it doesn’t look cakey/powdery. Another thing I loved about this product is how it felt. You don’t feel like you’re wearing anything, and my skin felt as soft as a baby’s bottom. After the foundation was applied, I applied Lunar Dust in Dusk as a highlighter using my fan brush. Then, I applied YB Cosmetics’ Mineral Blush in Cabernet. Both products mixed together gave me a nice, warm, healthy, summer, bronzy glow that I loved. I actually said to myself while looking in the mirror, ‘Wow, I like this. I really like this.’ The blush & dust blend seamlessly with the foundation. I love lip gloss. I actually wear it more than lipstick. I hate when glosses are too sticky or have a bad taste. Youngblood’s gloss doesn’t feel sticky, and doesn’t have a horrid smell or taste. My only complaint is that it doesn’t last as long as my other glosses. Hi – thanks for stopping by my blog! I've never tried the insolias, would you recommend them? It's great that you are a makeup artist as I have a makeup related question (if your willing to help me out)! I tend to have really oily skin and so I recently decided to stop wearing powder on my face (so my basic daily makeup now included some tinted SPF moisturizer, a few dabs of concealer if I need it, some blush, eyeliner, and a touch of mascara). I was wondering if the cessation of wearing powder is something that, in your expereince, actually helps with skin (my worry is that if my skin is oily and I wear powder (and because it's oily I was repowdering frequently throughout the day) I'm actually just making the problem worse and possibly exposing myself to blackheads, etc.? Any help you can give me would be great! Is the tinted moisturizer oil-based? if so, that may be the problem. Also, if you use a mattifying primer before you apply your tinted moisturizer it will help control the oil. Re-applying powder throughout the day can make your skin a little gooky, especially since you’re re-applying it over dirt and oil, which in turn can cause breakouts. The best thing to do is apply the powder once, and use blotter sheets throughout the day. I have insolias, and I like them. 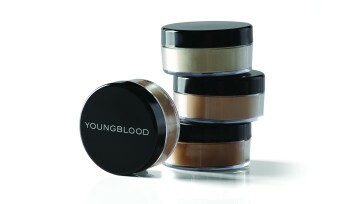 I am a fan of Youngblood Cosmestics on facebook. I shared the contest and page with over 400 friends on fb. I am a fan of Kim Porter on Facebook and shared the contest with over 400 friends on FB. I'm following on Google friend connect! I'm following Youngblood Cosmetics on Twitter, my id:iangela20! The VS primer is okay, I recently got a new bottle of UDPP and I have to say UDPP is way better. There's more silicone in UDPP, so less creasing. Enter me! I would like to win the Youngblood Mineral Cosmetics Lunar Dust since it looks too gorgeous and it does remind me of MAC’s Iridescent Powder/Loose that I haven’t tried yet. I also put your giveaway on the sidebar on my blog! I want to win the Lunar Dust because I want the J. Lo, Beyonce, Rihanna glow for the summer! 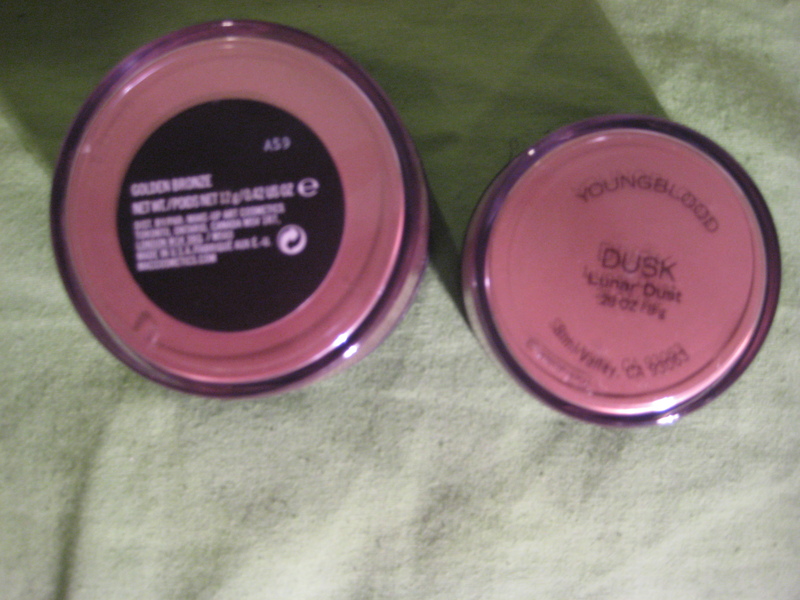 I've heard great things about YB Cosmetics-very silky not caky (sp check) and that is perfect, especially for summer. ENTER ME I would like to try Youngblood Mineral Cosmetics Lunar Dust to give me a glow throughout the summer. Enter me! I'd like to win Youngblood Mineral Cosmetics Mineral Basics Kit. I have been wanting to try a mineral foundation . I am a follower on Google Friend Connect and by email! ENTER ME. i BECAME A FAN/LIKE OF YOUNGBLOOD COSMETICS ON FACEBOOK. i WOULD LIKE TO WIN THE LUNAR DUST. I am a follower of Youngblood Cosmetics on Twitter @lenaikyle2. I want the mineral dust. enter me! i would like the Youngblood Mineral Cosmetics Mineral Basics Kit because it is a great basic kit to start with. enter me! i would love to win the lipgloss because i prefer lipgloss over lipstick and would love to try this one. I would like to win the Youngblood Mineral Cosmetics Mineral Basics Kit because I need to find a good foundation that works for me but I have not yet. I would love to win this.